1. This was Portland’s weakest performance of the season. Throughout the first half, the Thorns looked uncharacteristically limp, possessing without much intention and letting Kansas City stay far too relaxed. While Kansas City looked cool and collected, the Thorns looked alternately flat and frazzled. Defensively, Portland tried to sit back and absorb rather than press for the ball, and when they won possession, they mostly played frantic long passes forward to no one. The back line, which struggled last week without Meghan Klingenberg and Emily Sonnett, had a hard time containing Shea Groom, the Blues’ fast and physical forward. Mallory Weber and McKenzie Berryhill, in particular, both playing at full back, betrayed a lack of experience—both are young, and Weber, a forward, was playing out of position. Both FCKC goals, one in the first half and one early in the second, happened when Tiffany McCarty beat Berryhill on the right side and hit a cross to Groom. In the second half, Portland finally started pressing high, which gave them some more time in possession and more threatening-looking attacks. While it finally looked like they had a plan, they were simply outclassed in many areas of the field. Their lone goal came off a Nadia Nadim free kick, seemingly as a result of a failure to communicate between FCKC keeper Nicole Barnhart and defender Brittany Taylor; Barnhart ran out for the ball at the same time as Taylor tried to clear it, and Dagny Brynjarsdottir knocked it clear of both of them. With the goal wide open, Kat Williamson tapped it in. 2. But it wasn’t all bad. Emily Menges, wearing the captain’s armband in the absence of the Olympic players, was in hero mode on Saturday. She’s always a powerful presence at center back, but with both the midfield and the wide defense substantially weakened, she exuded calm, experience, and toughness, single-handedly stopping more than one Kansas City attack. Celeste Boureille, after a great performance last week, had big shoes to fill when she stepped in for Amandine Henry. She’s not Henry (nobody is), but she made a good showing in her first start at defensive midfield, showing skill on the ball and a decent knack for holding off tackles. Hayley Raso, who’s been steadily improving each time she steps on the field, was the Thorns’ most dangerous player in the second half, beating the Blues in a number of speedy runs up the left side. With a little more help from the likes of Brynjarsdottir and Mana Shim, she could prove a real threat in the next two weeks. 3. The Thorns have their work cut out for them next week. Going on the road against Houston next week will pose another challenge for this inexperienced group. 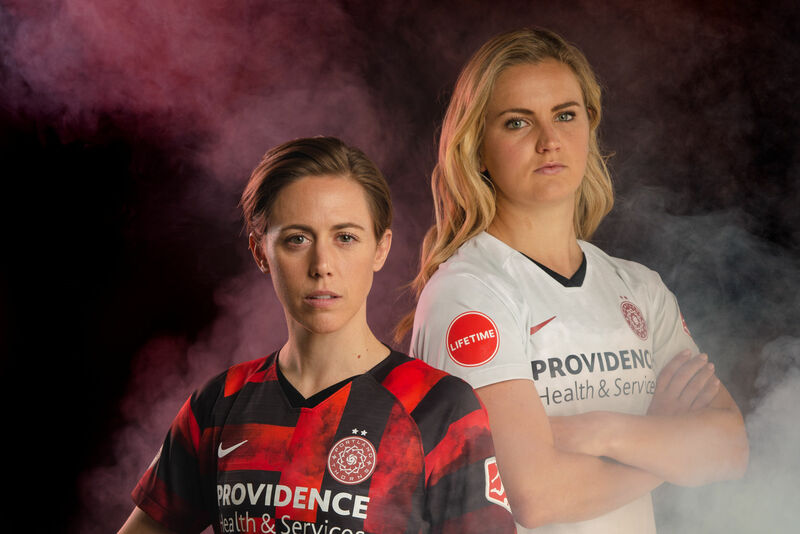 The Dash are near the bottom of the table, with just two wins this season, but so far, the B-team lineup the Thorns is using all month has yet to be tested away from home. More important, Portland’s beleaguered defense is about to get some reinforcements. Kat Williamson, injured back in April (against FCKC, incidentally) got some minutes this weekend, and will hopefully see more time next week. And Jennifer Skogerboe, who signed with the Thorns last week, slotted in well when she subbed in late in the second half. Not only did she capably shut down the same types of threats that repeatedly thwarted Berryhill, but her presence on the field let Mallory Weber push up and attack, a role that’s much more natural for her than defending. The Thorns have shown impressive tenacity before. Now, coming off their first loss, is when that tenacity will really be put to the test. 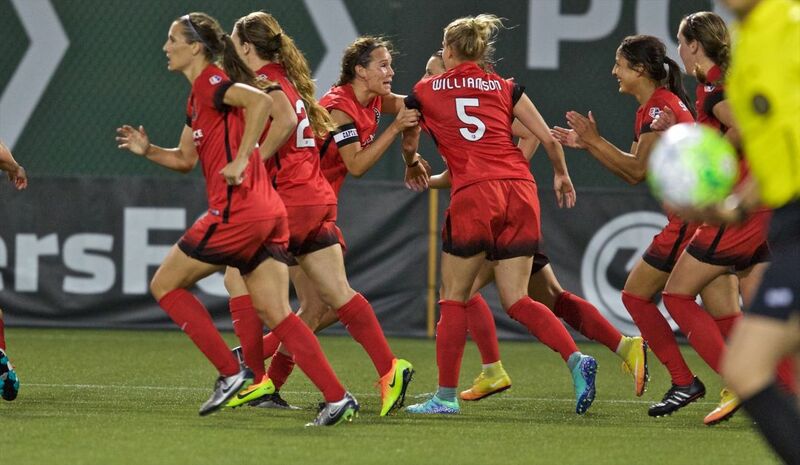 The Thorns take on the Houston Dash on Saturday, July 16 at 5:30 pm. Their next home game is Saturday, July 30 at 8:30 against the Seattle Reign.